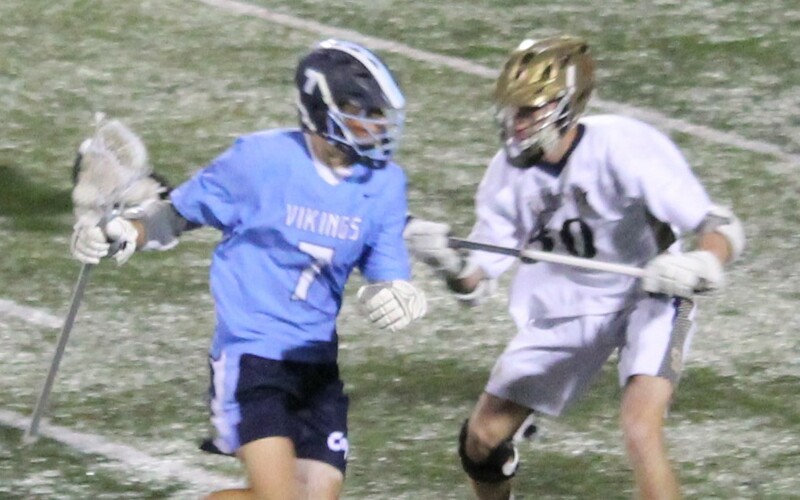 DOVER — Cape Henlopen ambushed Salesianum by scoring the first five goals of their boys lacrosse showdown on April 12, and although the Sals eventually got to within one goal with plenty of time left on the clock, the Vikings prevailed. 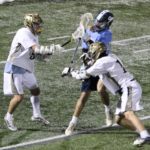 Cape’s 12-8 win was the first by a Delaware team over Sallies since the 2014 state championship game — in which Cape was the victor. 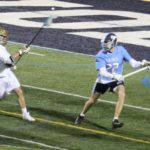 It was the second straight season in which the Sals and Vikings met as part of the Dave Reynolds Lacrosse Festival, and hundreds of fans from both schools made the trip to Dover. They braved a stiff wind and the threat of rain to catch this much-anticipated game. The top-ranked Sals were in penalty trouble for much of the game, and No. 2 Cape took advantage early. 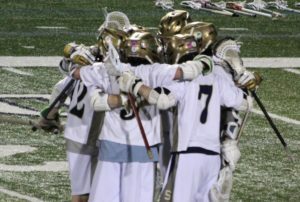 A Salesianum player was sent off with 9:06 to go in the first, and it took just 13 seconds for Jack Dennis to put the Vikings on top. Dennis was fouled on the play, so Sallies remained a man down. 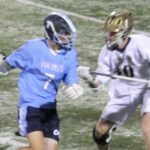 The Vikings’ Gabe Best made them pay, scoring from 15 yards out at the 8:29 mark. Turnovers were a concern for the Sals, particularly in the first half. After losing the ball deep in the Vikings’ defensive end, Cape took over and went to work again. 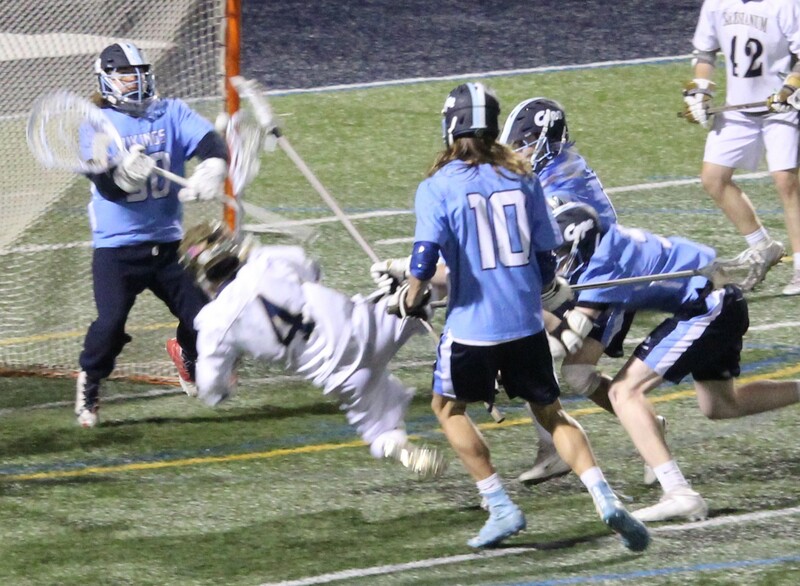 Sals goalkeeper Jackson Skinner made a save, but the rebound went to Luke D’Ambrogi, and with Skinner on the ground, the Vikings had a 3-0 lead. 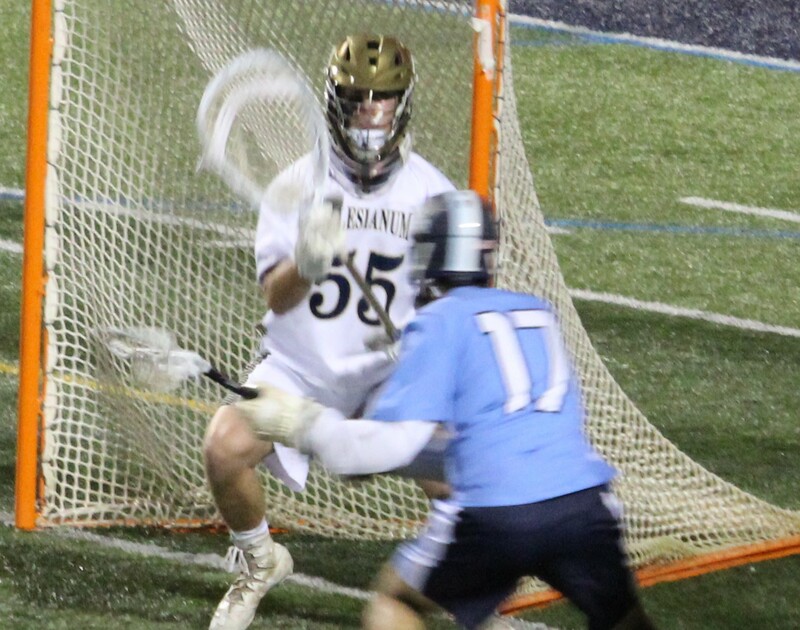 Salesianum did get some shots, but they misfired on several in the first quarter, and Vikings keeper Baxter Travers was solid when the shots were on net. 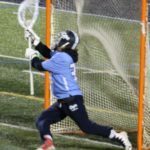 His best save in the first half came against Brady McGovern, who was all alone in front of the netminder late in the first. The Cape scoring streak continued into the second. Best recorded his second goal of the evening 90 seconds into the period, bouncing one in from the keeper’s left. 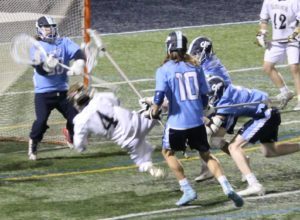 A Sallies penalty on that play left the Vikings in a man-up situation, and it was deja vu at the 9:59 mark. Best took a long pass and was all alone in front of Skinner, and his third goal made it 5-0. The Sals finally got into the scoring action with 6:42 to go until the half. Working in a man-up situation, McGovern got free and took a pass in front of Travers, and he buried it. It was 6-2 Vikings at the half. 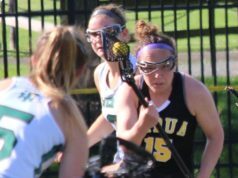 The teams traded the first two goals of the third quarter, and with five minutes left in the stanza, Cape still led by four at 7-3. But McGovern went to his left hand at the 4:46 mark to cut the Cape lead to three. 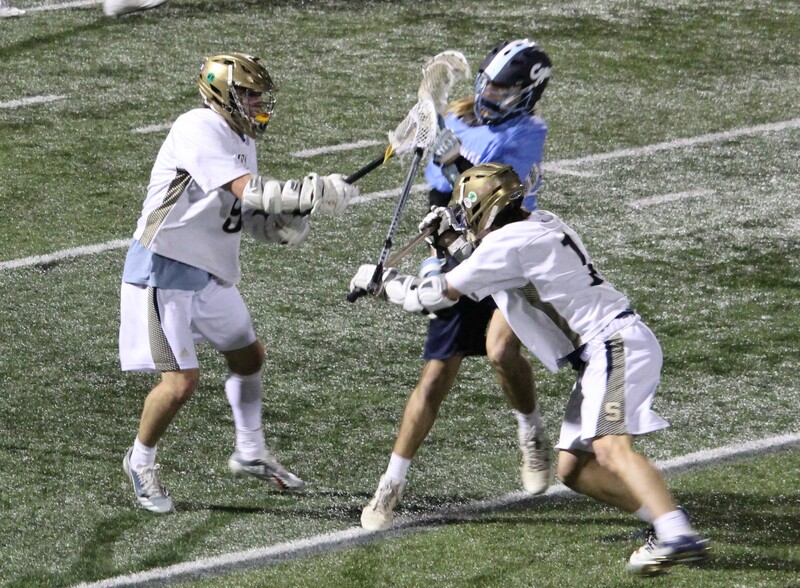 The Sals’ Matt Reilly was dominant on faceoffs all night, and his next win paid dividends. 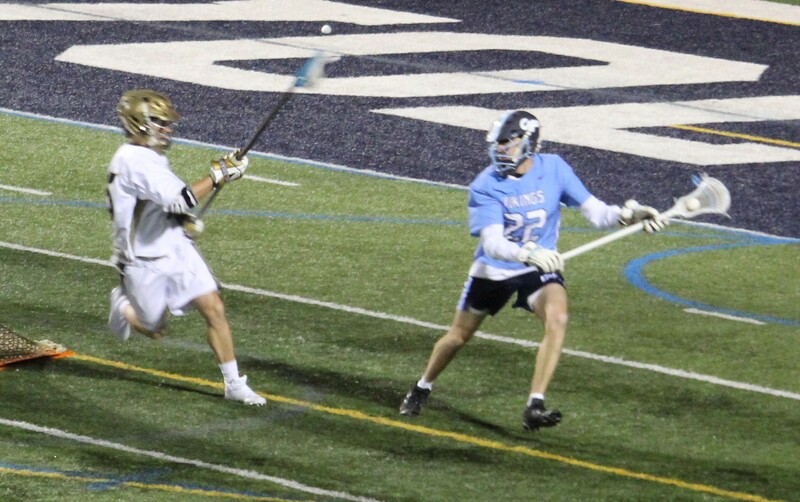 Michael McGarry picked up the ball and went low down the middle just 15 seconds later, and it was 7-5. 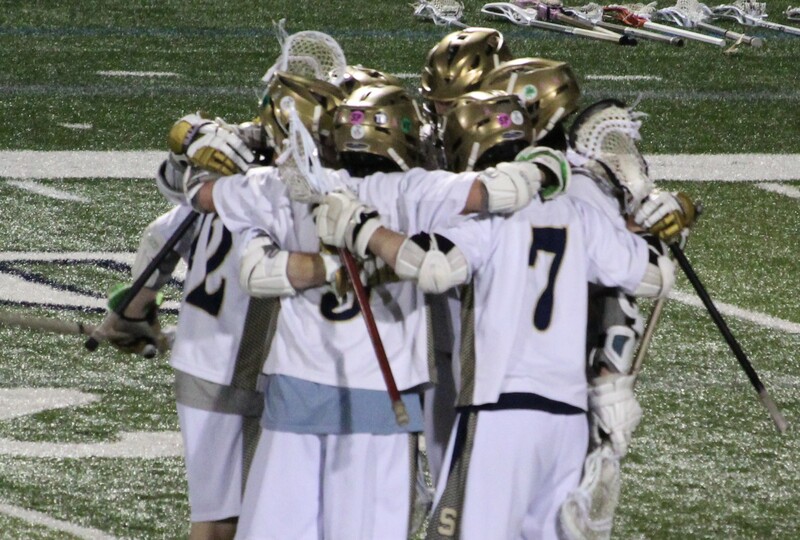 A Salesianum turnover after winning the next faceoff was grabbed by D’Ambrogi, whose unassisted goal restored the three-goal cushion a mere 14 seconds later. It took the Sals just eight seconds to answer, with McGovern hitting a turnaround shot. Gregory Boyce took advantage of a man-up situation to get the lead back to three heading into the fourth. McGarry scored another on a middle-distance shot in the first minute of play of the fourth, and it took just one more minute for Brian Wong to find the back of the net on a turnaround shot. The Sals were within 9-8, and their fans were making themselves heard. That, however, would be the Sals’ last goal. 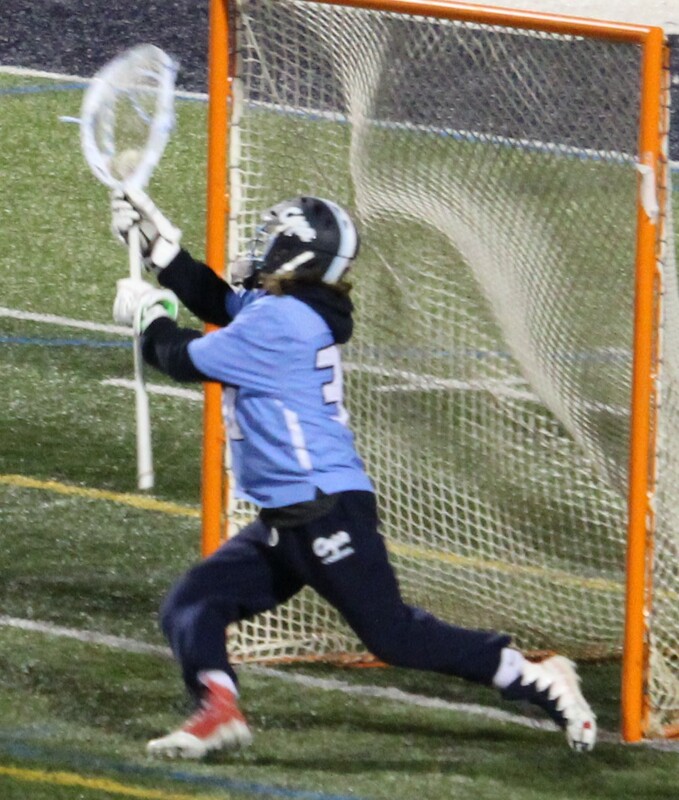 Cape would add three more, one on a delayed penalty, one on a Dennis bouncer, and the last goal thanks to a nice spin move from D’Ambrogi following another Sallies turnover. Travers would make a few more saves, and as the clock wound down Cape’s players and supporters just got louder. When the horn sounded, the Vikings converged in front of Travers as the new No. 1 team in Delaware. 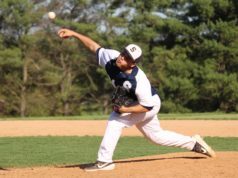 Final statistics for Sallies were not available early Saturday morning. The Sals (4-4) face another tough opponent in Malvern Prep on the road Tuesday at 4 p.m.
Best had four goals, and Dennis and D’Ambrogi each had a hat trick. Travers had 15 saves. 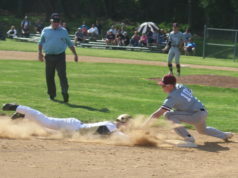 The Vikings (6-1) travel to Tower Hill for a 4 p.m. game on Monday.